People are strange when your a stranger. 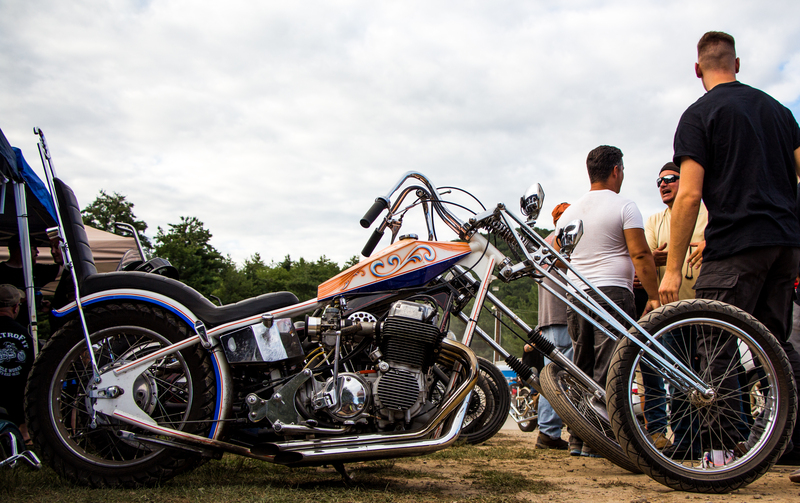 The Strange Days Motorcycle Festival brings custom motorcycles, music, and the Strange together for two days. This year the event was held at the Oakland Valley Speedway in Cuddebackville NY, for the first time. The new venue added flat track racing to the mix along with a river you could swim in if you ventured far enough to find it.